Designed to provide maximum protection, optical integration with a high-quality fit and finish. 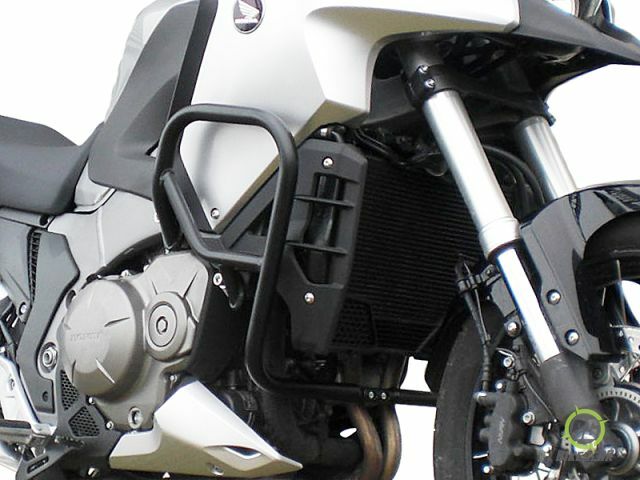 The SW-MOTECH  crash bars for the HONDA VFR 1200 X Crosstourer  are constructed of heavy-duty mild steel (a industry leading 27mm bar) for maximum protection & optical integration. A high-quality sandblasted , powder coated finish ensure that they will last the life of your bike. Reliable protection for vulnerable side panels and radiator. Strong integrated frame and cross brace connection. Heavy-duty and stable frame connection.